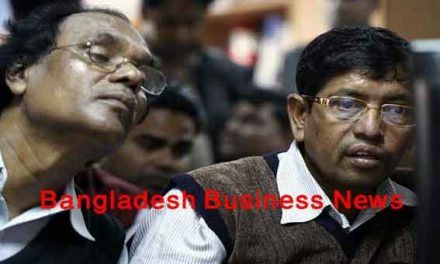 Dhaka, Bangladesh (BBN)-Bangladesh’s stocks returned to the red on Wednesday, after remaining upbeat for the four consecutive sessions and investors booked profits. Key index of Dhaka Stock Exchange shedded 2.16 points while the selective category index of Chittagong Stock Exchange dipped 0.59 points at the closing. 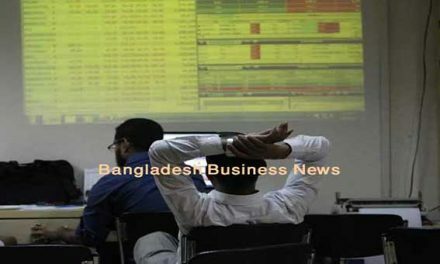 The benchmark index of the Dhaka Stock Exchange (DSE) closed at 4,619.51, shedding 2.16 points or 0.4 per cent, though it was gained around 20 points in the morning trade. The DSE Shariah Index (DSES) shed a fractional of 0.44 point or 0.03 per cent to settle at 1,115.34. However, the DS30 index, comprising blue chips, advanced 2.39 points or 0.13 per cent to close at 1,757.16. The total turnover on DSE rose to BDT 5.65 billion, which was 18.20 percent higher than the previous day’s BDT 4.78 billion. The losers took a modest lead over the gainers as out of 318 issues traded, 147 closed lower, 125 higher and 46 remained unchanged on the DSE trading floor. BSRM Steels was the day’s top turnover chart with shares of BDT 385 changing hands followed by Active Fine, Beximco Pharma, IFAD Autos and Aman Feed. Desh Garment was the day’s best performer, posting a rise of 9.44 per cent while Samata Leather was the day’s worst loser, plunging 8.52 per cent. 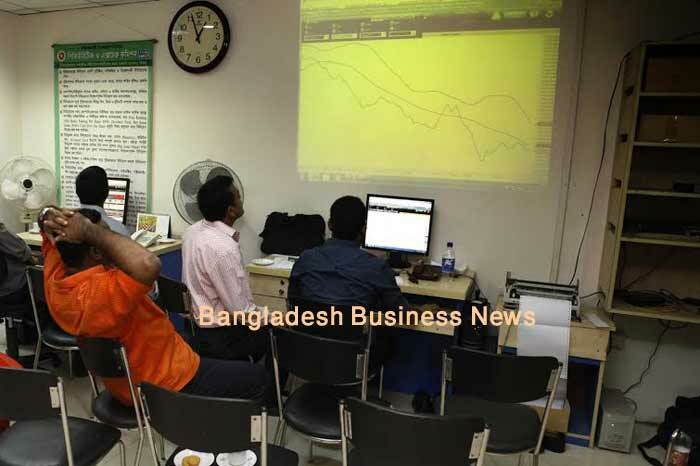 The port city bourse Chittagong Stock Exchange (CSE) also slipped into the red with its Selective Categories Index- CSCX- shedding a fractional of 0.59 point to close at 8,596.27. Losers beat gainers 123 to 94, with 28 issues remaining unchanged on the port city bourse that traded 13.14 million shares and mutual fund units with a value of BDT 421 million.